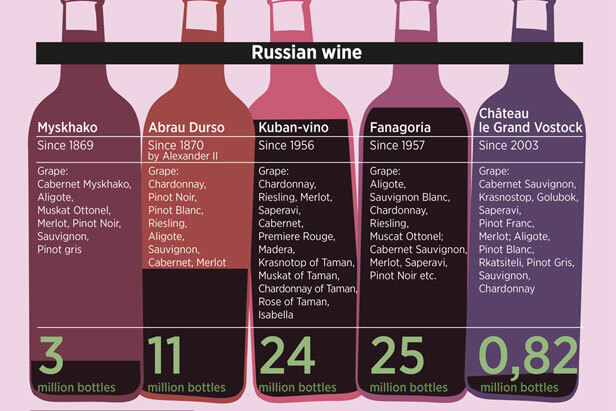 Until the last few years, visitors to Russia offered wine would either expect an imported bottle or Soviet-style sweet and semi-sweet wines of dubious quality. It’s still the case that four-fifths of wines currently sold in Russia are poor quality semi-sweet varieties, and involve the use of concentrate. But now a growing proportion of Russian wines is home-grown and of excellent quality, being lovingly produced with French and other imported grapes, along with modern wine technology.